This handy Hoof Cleaning Brush is a simple tool that will really make a difference in your grooming routine. Perfect for cleaning out hooves for packing or applying treatments. This brush really will get out all of the dirt and shavings that hide in the hoof. Don't go another day without one of these Hoof Cleaning Brushes! 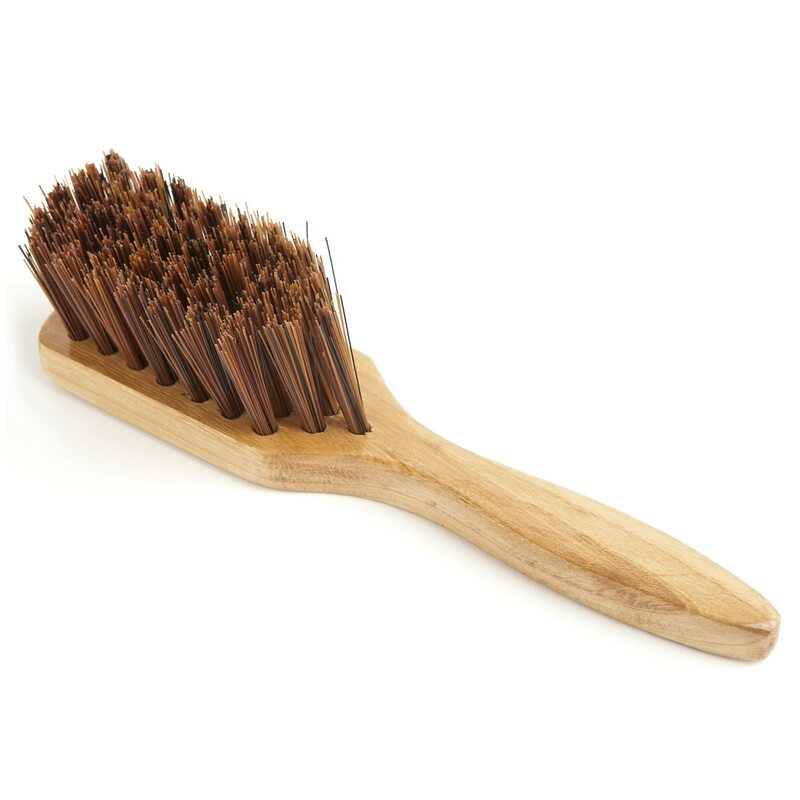 Hoof Cleaning Brush is rated 4.7 out of 5 by 86. Rated 5 out of 5 by Sage from Great brush Love this brush! Its sturdy and it really helps get dirt and stuff from the hooves. Rated 5 out of 5 by mwright614 from Great hoof brush This is a great hoof brush. Very sturdy. I have been using it a lot since buying it and no bristles have come out. It was exactly what I needed. Rated 5 out of 5 by Sandy from Would be a bargain at twice the price This little brush has become an indispensable part of my grooming routine. It's plenty stiff enough to effectively clean out my horse's feet, but not too abrasive, so I can continue brushing with it right up the pastern. In just a moment I've got everything from the inside of the hoof up to the fetlock, front and back, scrubbed clean, with nary a protest from my TB. So far it seems durable; I've been using it for a couple months and I can't tell that it isn't brand new. I can't see spending more on any other brush given how well this one works. Rated 5 out of 5 by KentuckyScout from Great brush for hooves and pastern cleaning. I have 3 of these brushes, one for each of my horses, and use them everytime I groom to remove dirt and mud from their fetlocks and pasterns and their hooves. They are so handy and hold up well. I used the first set almost daily for nearly 2 years before they finally started to wear out. I just bought 3 more. Oh, and I also use one to brush my eventing horse's feet/shoes before and after useing studs in her shoes. Wonderful little brush. Rated 5 out of 5 by Juliaaaaaaaa from Does the job perfect for getting mud and dirt off my horses hooves and cheap! Rated 5 out of 5 by Ari m from Easier to clean hoof The hard bristles make it easier to clean the hooves. Is well made, I really like this brush. Rated 5 out of 5 by Jessica from Works great This does just as it should. It works much better than the hoof picks with bristles on the end. It cleans out my horse's hooves really well before I apply thrush treatments or hoof oil. This was nice and cheap too! Rated 4 out of 5 by Monkeybutt from Good s tiff how brush This is a God stiff brush with long bristles to really get into you horse's hoof crevices. Works better than the brush on the end of a standard hoof pick.